Members of the ENS – the NGO of the Catalan Cultural Association Network – include the 27 most important federations working in the field of Catalan culture. Cultural associations are widely present in Catalan society and have a very particular and unique organisational model. They are the concrete response of civil society to the needs for training and education, self-help, community work and social cohesion while developing Catalan popular and traditional culture in a sustainable way, both from a historical and future perspective. There are around 3,700 NGOs under the umbrella of the ENS with a direct and real participation of 178,500 people involved in the different aspects of safeguarding intangible cultural heritage. 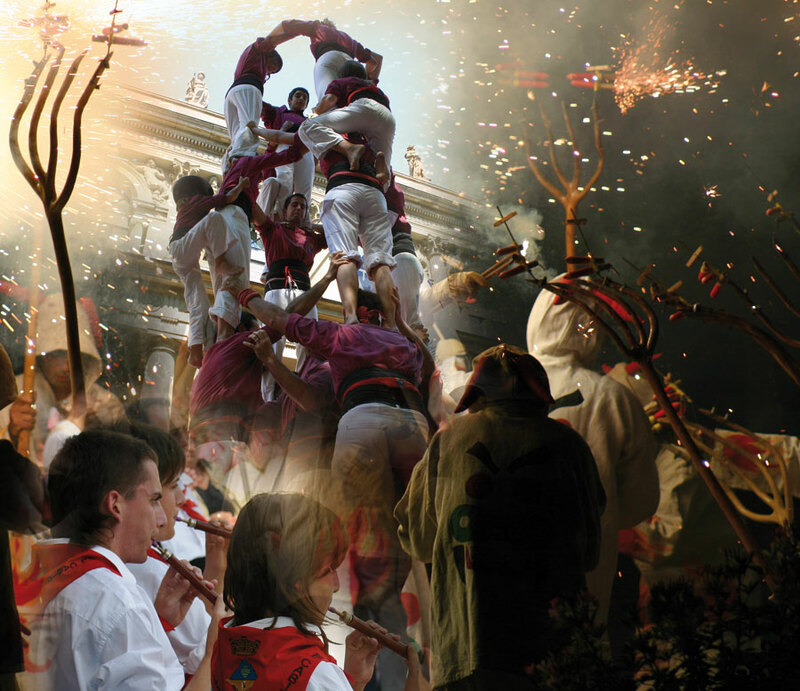 Identify and publicise Catalan intangible cultural heritage in its multiple facets and manifestations, ensuring its preservation. Promote the main activities underway and contribute to achieving this goal with a different internet elements. Represent a space of exchange of knowledge and experiences in the promotion of popular and traditional culture and to be and an instrument to disseminate it more efficiently to the whole of society trough a future perspective approach (database of educational resources). Generate a unique space of debate and reflection around the work of popular and traditional cultural associations to adapt them to the new times while maintaining their strength, vitality and legacy and contributing to social cohesion. We have also a series of contacts at university level to make the presence of popular culture and associations in this educational field possible. Be a space of relation with the public and private institutions in order to enable Catalan culture associations and his reality about ICH to have greater public presence and influence, seeking to enhance and safeguard it whenever necessary. Main countries where the NGO works: Catalonia, Spain, Italy, France. This event represents a very interesting opportunity to meet and exchange around ICH and the means to safeguard its different elements around the world. It shows however an important problem: the UNESCO 2003 convention permits the accreditation of NGO presenting the capacity to work in either English or French. But the event neglect the latter by no providing translation in the French language. It remains a issue that has to be solved in order to be inclusive with all the accredited NGOs. 5, Víctor Balaguer Square. 08003 Barcelona. Catalonia, Spain.